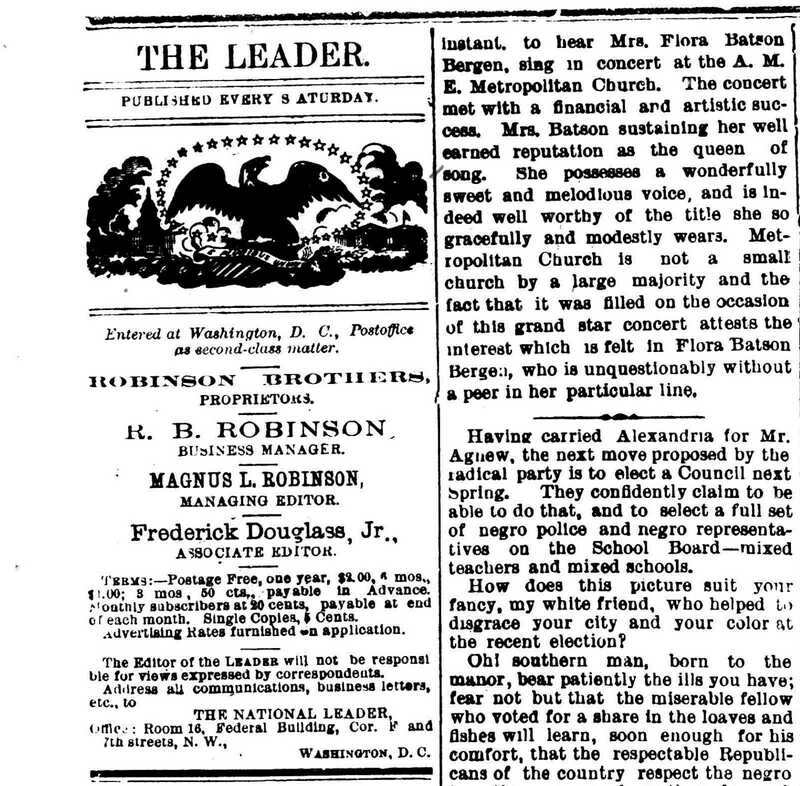 Washington, D.C., May 23d, 1881. I thank you very sincerely for your kind and valued letter of congratulations after my confirmation as Register of Deeds and especially for the good word you were pleased to speak for me to the President of the United States. That word would no doubt have earned my retention in the office of U.S. Marshal, but for the President’s preference for a personal friend. My present office is even better suited to my tastes than the Marshalship and is sufficiently [illegible.] Allow me to express my pleasure that Massachusetts continues to honor you with [illegible] responsible position. 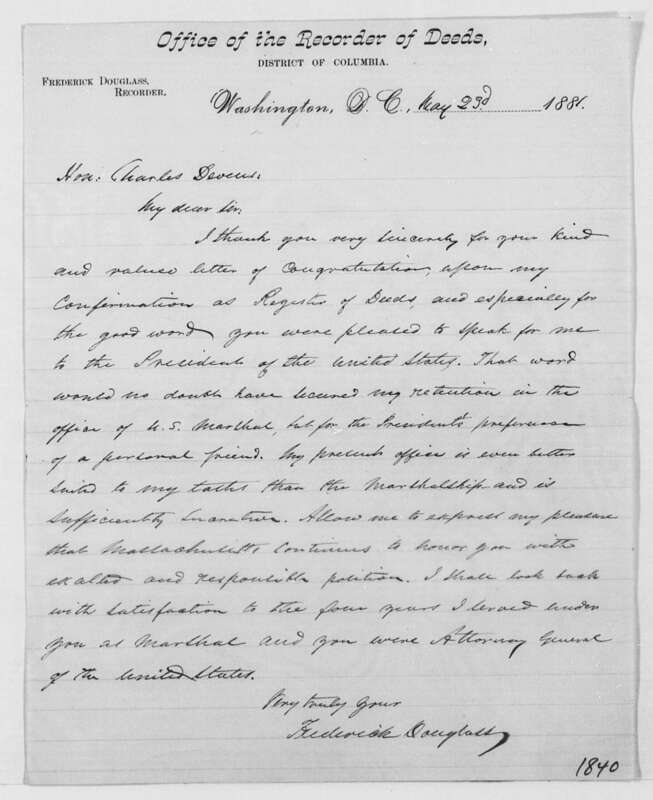 I shall look back with satisfaction to the four years I served under you as Marshal and you were Attorney General of the United States.